Tammi Bula's acting career was short lived and only lasted during the 6 years that she appeared on The Waltons and then she disappeared from the public eye. Martha Rose Coverdale is a spoiled school girl who comes from a well-to-do family. She never misses an opportunity to belittle Mary Ellen and to get under her skin. She appears 10 times during the first 5 seasons. 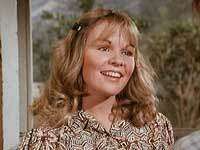 Cindy Eilbacher starred as Cindy Crabtree, the daughter of Jerry Van Dyke. character in the 1960's sitcom My Mother the Car. G.W. (George William) Haines plays a love interest to both Mary Ellen and Erin Walton. He appears 11 times during the first 6 seasons. He is killed while training for military service during WWII in "The First Casuality" (s6-ep8). David Doremus starred as "Hal" in the early 1970's comedy Nanny and the Professor. He left acting and 1981 and now runs a mobile electronics company in L.A.
Harold Beasley appears in "The Fawn" (s2-ep9). He likes Erin and she develops a crush on him but her hopes are dashed when he finds it difficult to express himself. This role is Jimmy Davila's only screen credit. Polly Thompson is a girl that John-Boy runs into the parking lot on his first day of University. She teaches him his first lesson that not everyone is very nice or kind in the big world. Devon Ericson has 50 sceen credits to her name. Mike West is the first friend that John-Boy makes at Boatwright University. He helps John-Boy to navigate the difficulties of being a freshman in "The First Day" (s3-ep2). He returns in "The Ring" (s3-ep6). 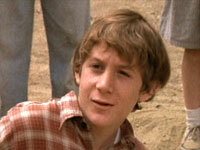 Ted Eccles began acting at the age of 4. 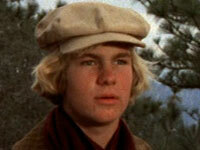 He was the voice of The Little Drummer Boy and starred in My Side of the Mountain. Mike Paxton is a student at Boatwright University. He gives John-Boy a hard time at first for being a freshman "The First Day" (s3-ep2). Mike sits as the Student Council President when John-Boy makes a case to keep a student from being expelled in "The System" (s3-ep7). He appears in "The Fledgling" (s4-ep23) and he returns in "The Obstacle" (s7-ep14) as a war vet and former school friend of John-Boy's. Dennis Redfield had a recurring role on Dallas as well. Amy Partridge is a former student at Boatwright University that John-Boy meets while registering for a lecture. She works in the bookstore and is trying to save money to return to re-enrol in classes. 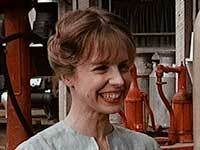 Ann Noland has 11 credits from the 1970's. Audrey Butler is a Boatwright student that John-Boy takes to a college hop. John-Boy is not sure he feels that she is the right girl for him. 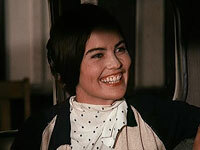 Kathleen Cody has 28 credits to her name including a regular part in Dark Shadows. Tom Povich is a football player on a scholarship in "The System" (s3-ep7) that John-Boy is tutoring to help keep his grades up. When he is caught cheating on an exam John Boy defends him to keep him from being expelled from University. 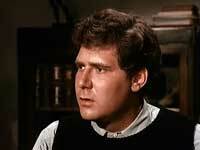 Richard Masur has over 126 screen credits and The Waltons was one of his very first. He appeared regularly on Rhoda and One Day at a Time. George Simmons is a new boy who's family has returned back to their old homestead after finding work nearby. Elizabeth and Aimee Godsey compete for his attention in "The Festival" (s6-ep16) Later in "The Revelation" (s6-ep21) he helps Elizabeth set up a Lemonade stand. 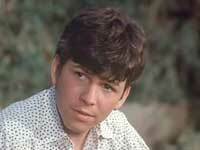 Steve Shaw (1965–1990) appeared as Eric Fairgate in 81 episodes of Knot's Landing until his untimely death in 1990. Patsy Brimmer is Mrs. Brimmer's niece. She first appears in "The Wedding" (s5-ep7) Jim-Bob is immediately smitten with her and they begin a long term relationship. Her last appearance is in "Spring Fever" (s6-ep15). She appears on the show 5 times. Debbie Gunn and Eileen McDonough share the role of Patsy Brimmer. 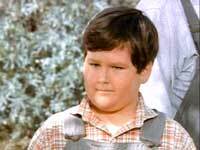 Clarence Dutter is a overweight boy that is keen on Elizabeth. He first appears in "Grandma Comes Home" (s6-ep22) when he gives his pig "Jay-Bez", to her for a 4-H project. He then appeared in "The Attack" (s7-ep18) when Jim-Bob and Ben sell Old Blue, the mule to him. 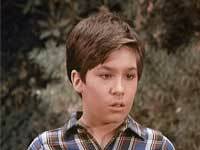 Kenny Marquis only other screen credit is as Pugsley Jr. in the 1977 TV Special Halloween with the New Addams Family. 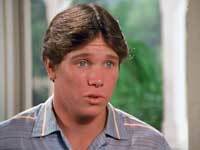 Steve Prince appears in "The Inspiration" as a boy that Elizabeth is interested in but when it is revealed that he is interested in someone else she discovers that his friend Drew Cutler likes her instead. 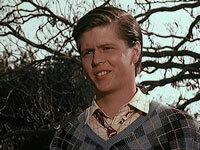 Philip Linton's (1963–1992) first role was on The Waltons. 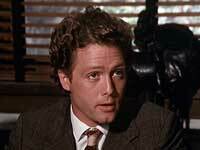 He continued acting until his untimely death at the age of 28. Drew Cutler is a school firend of Elizabeth's which develops into a romantic relationship. He appears in 8 episodes staring with "The Inspiration" (s8-ep18). He also appeared in 5 of the 6 Movie specials. Tony Becker starred in the Vietnam series Tour of Duty.